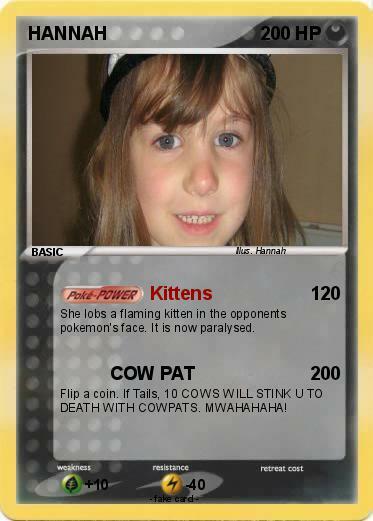 She lobs a flaming kitten in the opponents pokemon's face. It is now paralysed. Flip a coin. If Tails, 10 COWS WILL STINK U TO DEATH WITH COWPATS. MWAHAHAHA!